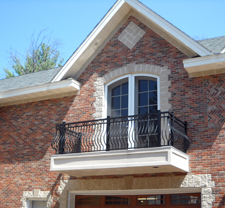 Northwoods Remodelers is your one-stop premier remodeling expert for complete residential and commercial improvements. We offer window and door replacement, siding, roofing and additions customized to meet your individual needs. Our specialty is window replacement and door installations. Northwoods Remodelers is an Authorized Service Provider for Andersen Windows© serving all of Wisconsin, eastern Minnesota, and Michigan's upper penninsula. We also provide Andersen replacement parts including; replacement sash, screens, hardware weather-strip and frame parts for all Andersen products. We offer the lowest prices in the area with reasonable shipping costs for delivery to your door-step. Visit our on-line shopping cart for ordering your Andersen Window replacement parts and components. We have over 30 years experience in the remodeling industry. Our work begins with quality products and ends with a handshake after the last nail is pounded. We know you’ll like how your project looks, but our legacy of outstanding products, remodeling expertise and commitment to customer care will make you love us. Copyright © 2019 Northwoods Remodelers. All Rights Reserved.